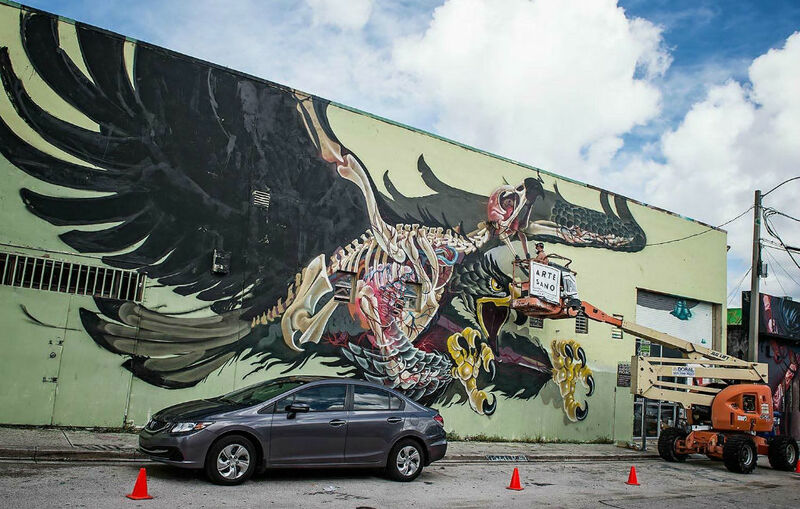 As every year, NYCHOS celebrated his birthday during Art Basel in Miami. And as you might have already expected, he left another burner behind in Wynwood Café. 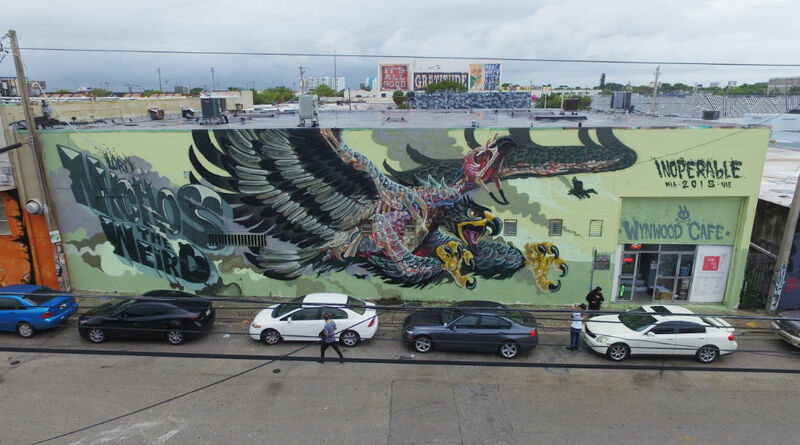 His latest mural Strike Eagle marks the beginning of a new era (again!). 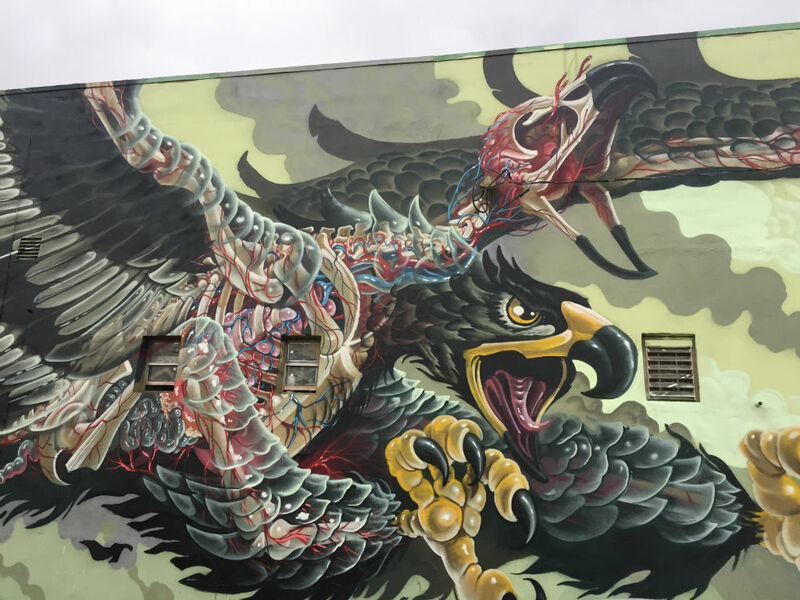 NYCHOS brought his translucent technique to the next level as he found a way to make the eagle’s feathers and flesh entirely transparent. Check out the details below. With this in mind, NYCHOS might be relinquishing the blue and turquoise shells of X-Ray in the future. We couldn’t be more excited and are eage( r )ly waiting for what comes next. Thank you INOPERABLE for organizing the wall – we wish you loads of success in Miami. And don’t worry, we are going to take care of Vienna. Huge thanks to Montana for the support and to Gully Art for providing the pictures.